I started playing the drums at 5 years old. I played all through school, Junior High, High School. I played in the Navy Band from ’76 to ’80. After I got out of the Navy, I played in a few bands in the Bay Area. I moved to Sacramento in ’82 and played in many different groups. A jazz organ trio with Rick Zamora. Latin Jazz band Cognac Tan. Gringo Loco was a great cover band and Forty Fingers was an all original progressive rock band. I also played with Warren in Fire and Wheels and most recently with F.O.G. (fu$&@n’ old guys). 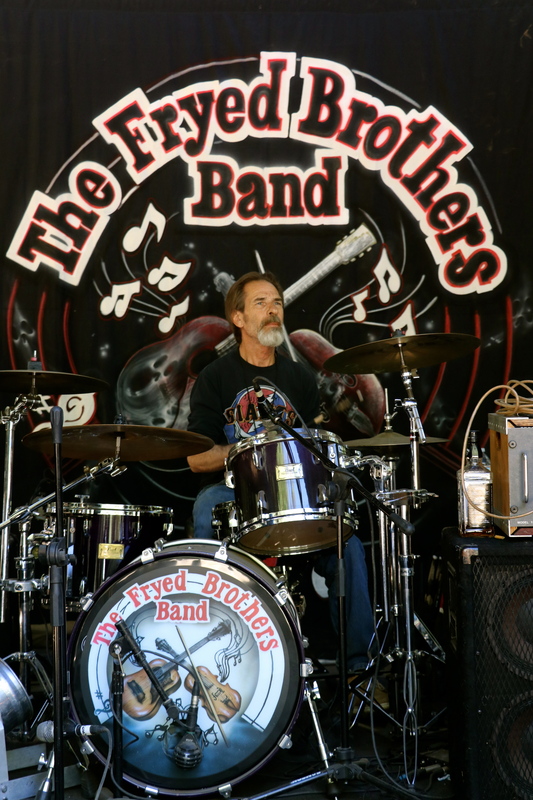 Love playin’ with The Fryed Brothers Band! !